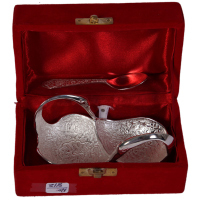 Uniquely shaped German silver made twin bowl set to add a feather in your antique collection. 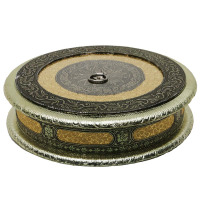 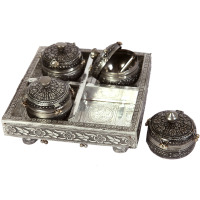 Engraved with graceful design this Oxidised dry fruit round box will definitely give your table a classy look. 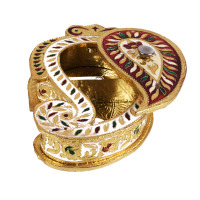 Gift your near and dear ones this beautiful apple shaped handcrafted box made of wooden base and brass cover with meenakari work. 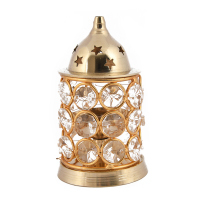 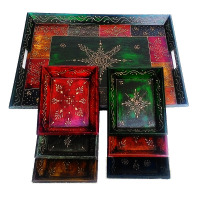 Gift this star shaped box made of wooden base and meenakari brass cover and get noticed. 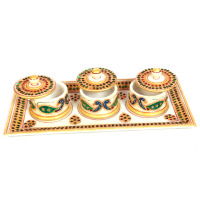 This 7-piece decorative tray set can be the ideal accessory for making a trendy style statement. 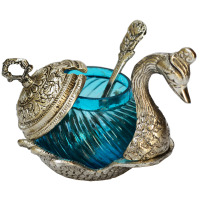 This lovable designer unit is certain to depart folks viewing it hypnotized with absolute astonishment and pure devotion. 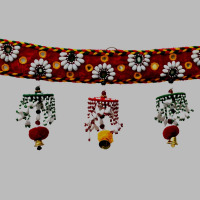 Traditional bandhanwar for decorating walls and doorways. 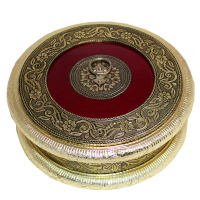 A beautifully designed round dry fruit box with a push in lid. 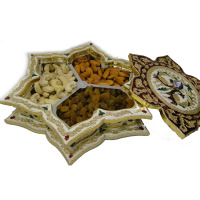 Elegant design, exert craftsmanship, and a finished product of the highest order – this dry fruit box not only stores dry fruits, but also adds to the beauty of any room it is placed in. 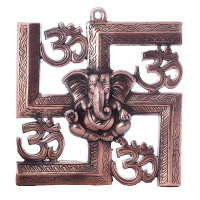 Om and swastik symbol coupled with lord ganesha will give you a sense of peace, divinity and tranquility, wherever you are. 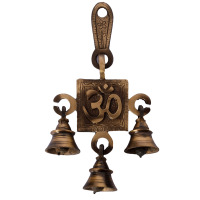 Usher the opulence in your home by bringing in brass om bells that can be a good room décor for your living room as well as your bedroom. 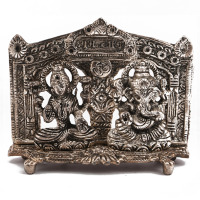 Illuminate your beloved home with this divine and positive wall hanging of laxmi and ganesha which is made from genuine white metal which portrays the state of art creativity and talent of the artisans in India. 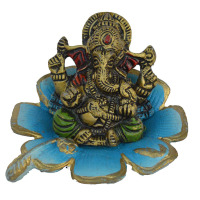 The metal lord ganesha statue on sky blue leaf is one of the best looking statues which will bring in peace and prosperity to your home. 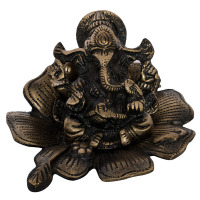 Lord ganesha is crafted with style, traditionalism and perfection on a shining blue leaf . 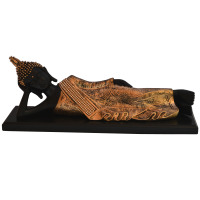 You can adorn your home or your puja room with this wonderful piece of art. 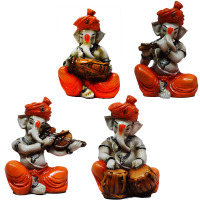 All people love lord ganesha home décor in their house and what is more fascinating than to owning statues of lord ganesha playing the flute, violin, tabla and the dholak all at once? 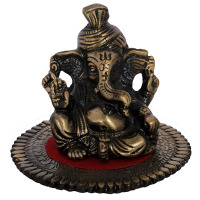 Choose from some of the best looking lord ganesha statues made of resin fiber which are available in various colors and poses. 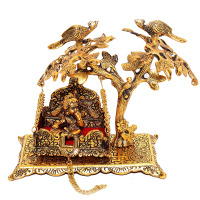 The meenakari handwork stands out in the room, and gives off an aura of class and opulance. 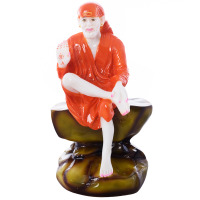 Use it as a gift item or show piece in your house & irradiate the beauty of your home by placing it on the table top of your living room or simply use it as a box to secure your personal holdings. 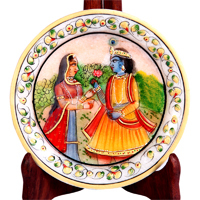 Hand painted & crafted wooden box is essential for daily use. 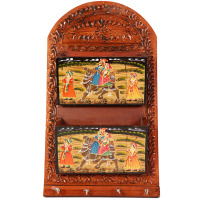 The beautiful wooden hand painted box splashes the vivacity of this art piece, which makes it irresistable to have. 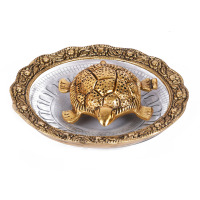 Tortoise with a bowl signifies as the luck for different. 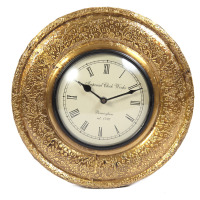 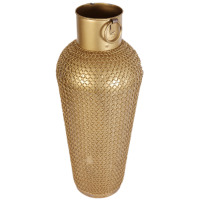 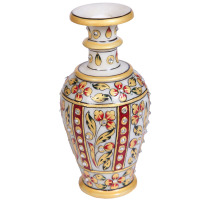 The golden & white combination of colour, majestic design makes the piece a must to have in home. 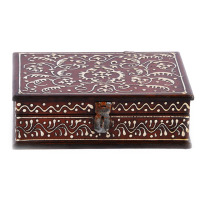 This wooden box made with meenakari design is mainly used to store dry fruits like resins and cashews. 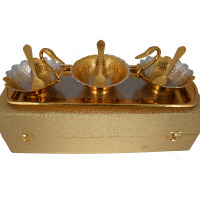 Avail the best offers here. 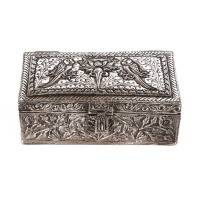 An elegant wooden box with beautiful carvings all along the body of the box with a silver hue finish to make it an absolute eye magnet. 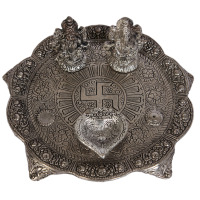 A beautifully ethnic akhand jyot with crystals, with brass finish for religious decor is available for the best price. 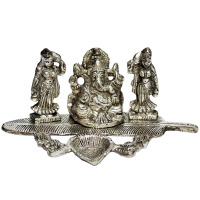 This oxidised metal figure of laxmi and ganesh will be a valuable addition to any household. 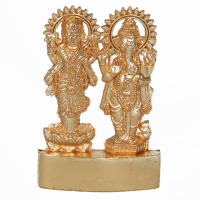 The design of the entire idol set is worth admiring. 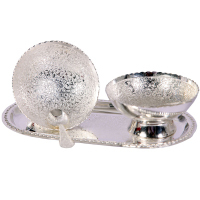 Buy the amazing 3 piece bowl set made from german silver. 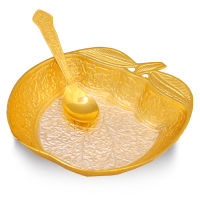 The bowls are apple shaped, and these would be a great addition. 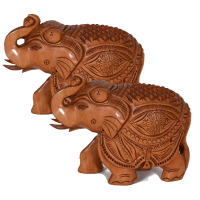 Get this beautiful pair of elephants carved out of wood, with striking engravings at the best price exclusively. 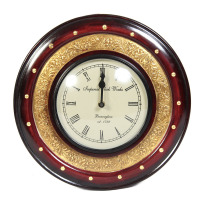 Clients are like a roller coaster for a company. 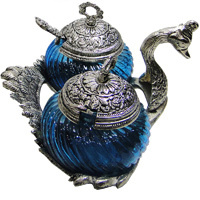 They play a vital role in enhancing one’s business sale. 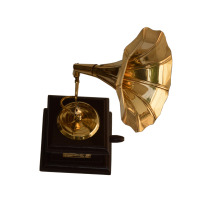 To take the client’s business to the heights, companies use effective and engaging business techniques. 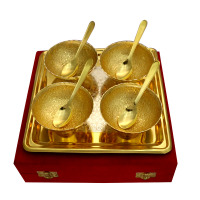 A company works as a successful foundation for client business. 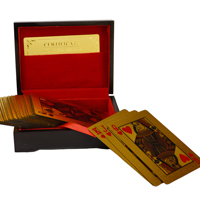 Whenever a client comes in contact with a company, it gives them a chance to face new opportunities and try something out of the box. 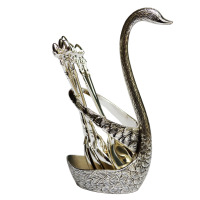 They ask companies to use their innovative skills to make something different - as per their requirements which is unbeatable and excellent at the same time. 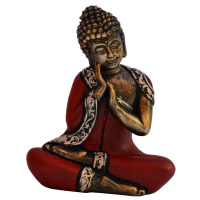 Be a client module is good or bad but a company believes in taking the best of it. 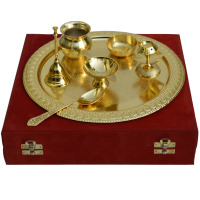 A company helps in sustaining the performance of the client business. 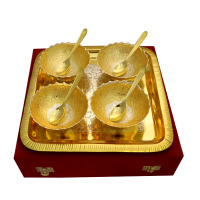 Also, take out the right business strategies from the whole procedure and execute them. 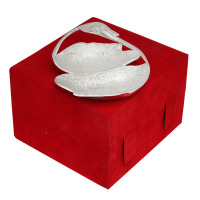 Client’s are the heartbeat of a business; therefore developing a healthy relationship with them is essential. 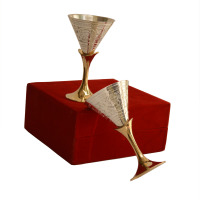 A client relation with company shows a high level of long-term commitment that runs both ways. 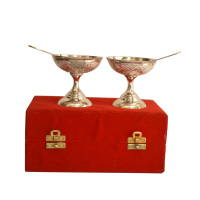 Generally, companies consider clients as the root of their business. 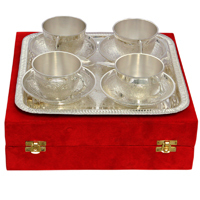 And, apart from keeping a business relationship, they treat their clients as family members. 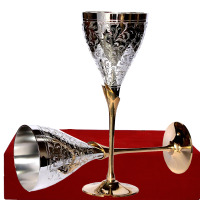 Making personal relations with the clients is an excellent way to let them how your company delights their clients; also it makes them feel special. 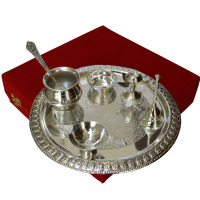 Few things which a company can do to strengthen their client bond is sending them corporate gifts, a coupon of a special event, dine & drink etc.. on achieving the monthly target, along with the phone call, is a great way to show gratitude. 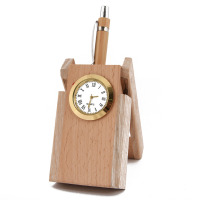 How About Personalised Corporate Gifts For clients? 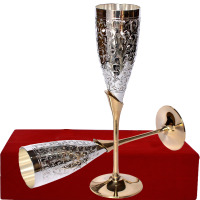 We all know, corporate gifts are the best marketing tool, whether one wants to showcase their services or need to advertise their products, corporate gifts always proved a successful tactic to aware people about one’s brand. 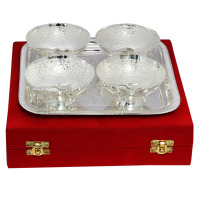 But when we present corporate gifts to the client, it should not be promotional. 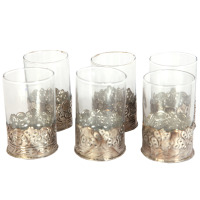 Regardless, try to give corporate gifts a touch of yours. 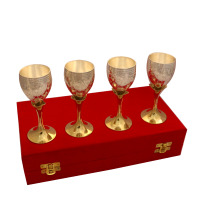 Personalized corporate gifts with logo & name of your company look stunning and offer clients a reason to remember you. 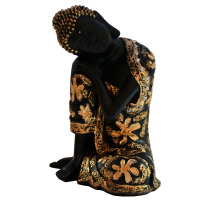 For Example: If your client loves to travel, then send them a ticket to their next favourite place, along with a handwritten note. 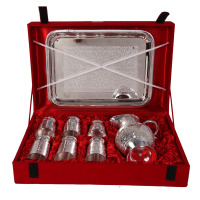 Moreover, if your client is a gym freak then pamper them with sending any gym accessories like dumbbell water bottle etc. 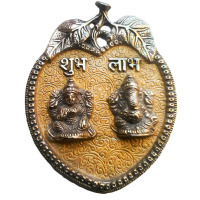 Also, you can present mugs, keychains, photo frames with their photo on it. 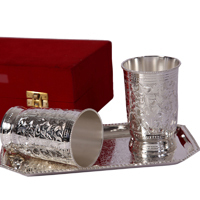 Note: Your client must be dealing with many companies and undoubtedly receives tons of corporate gifts from them. 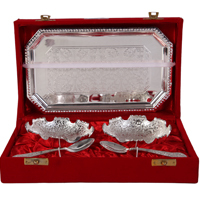 But, a personalised corporate gift from your company, leave them mesmerizing. 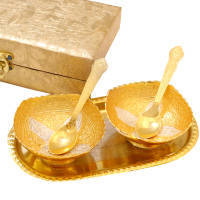 Why You Should Prefer Handmade Items For Your Clients As Corporate Gifts? 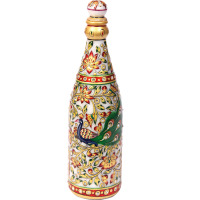 Handmade articles have a unique charm. 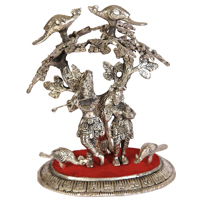 Crafted by skillful artisans, handmade items represent the country’s tradition and culture. 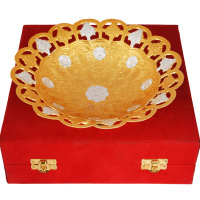 Due to their incredible beauty and sticking appearance handicraft articles are considered the best corporate gifts to clients. 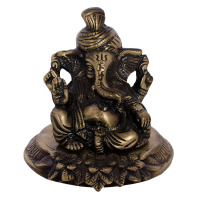 For Example: If you want to present Diwali gift then prefer Laxmi-Ganesh pooja statues, pooja thali and something which is useful for entire family like home decor articles. 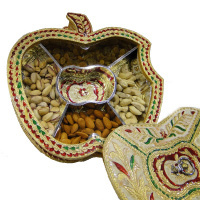 The best creative corporate Diwali gift for clients is Sweet & Fruit Box, Wall Clocks, wooden showpieces, glass vases, blue pottery etc. 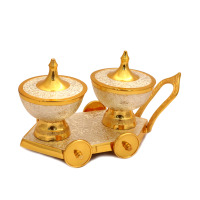 Handicraft items of India are the perfect corporate gifts for Diwali, especially, when you want to delight your foreign clients. 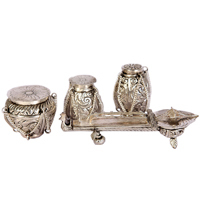 Handicraft items give them a chance to know India more also these gifts enlighten their home decor. 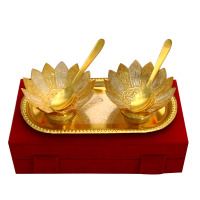 Why Boontoon For Corporate Gifts? 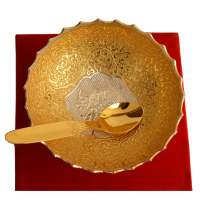 Boontoon has the enormous range of corporate gifts. 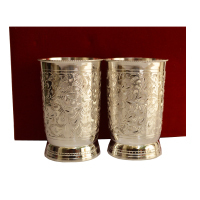 With us, one can find the right corporate gifts within budget which works as a healer for industries. 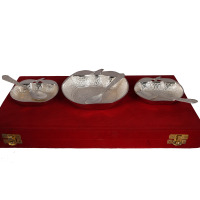 Moreover, we have divided our corporate gifts section into different price slabs. 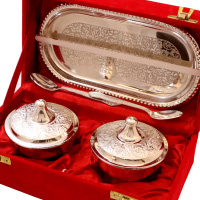 So, if you want to purchase gifts under a fixed budget like corporate gifts under 300 or corporate gifts under 500, this could be your lifesaver. 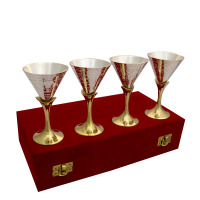 With Boontoon, purchasing corporate gifts for clients is fun and easy. 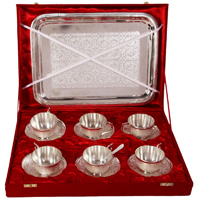 With our simple navigation, one can search their preferable corporate gifts as per the occasion. 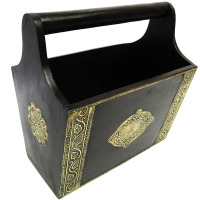 We also accept bulk orders. 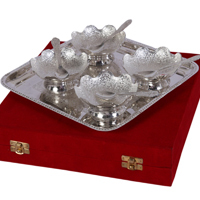 So, if you want to send corporate gifts within India or outside, Boontoon should be your foremost choice.